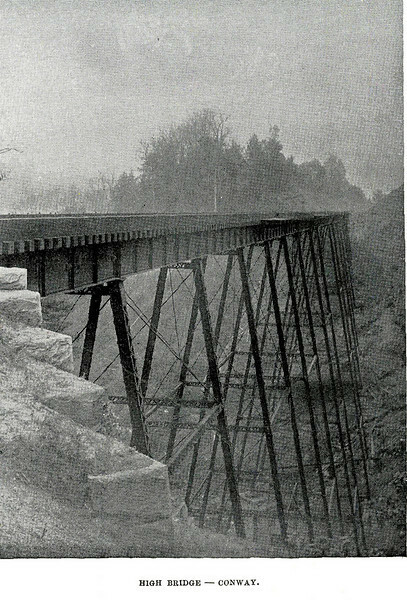 Tallest railroad bridge in New England at the time of its construction as part of an extension of the NH&N from Northampton to Shelburne Falls. Dismantled in the 1930s. All footings and abutments remain today.